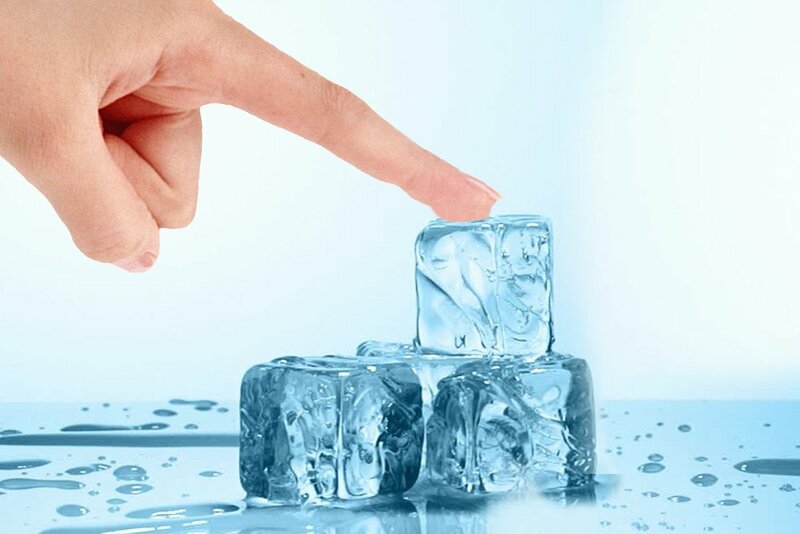 Why Do Fingers/Hands Stick To Ice? You’ve probably noticed that while taking a frosty cold container out from the freezer, your fingers tend to stick to the ice; not only on the container itself, but also to the deposits of ice that form when you haven’t defrosted your freezer in a while. Why do our hands decide to be sticky when they come in contact with ice? Ice tends stick to our skin, but it doesn’t always have this unusual attraction. Whether or not a piece of ice will stick to our skin depends on two important factors: moisture of the body part (that’s in contact with the ice) and the temperature of the ice. Most of us always have some water on our hands, arms, legs, etc. in the form of moisture, whether or not we realize it. Your tongue, for example, remains wet all the time due to the saliva in our mouth, so it also becomes a very good candidate for sticking to ice. We’re talking about ‘ice’ here, so it’s logical that it must be at 0 degrees Celsius (32 Degrees Fahrenheit), i.e. the freezing temperature of water. However, this may not necessarily be so in every case. 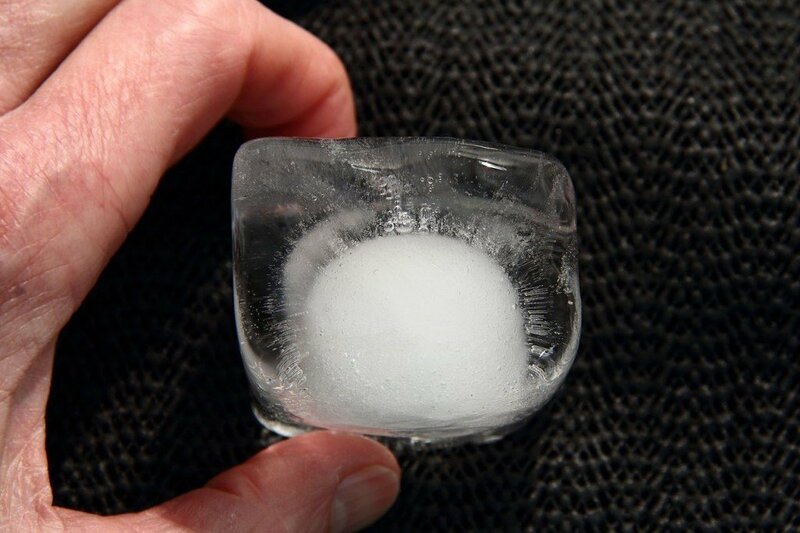 Although water does freeze at 0 degrees Celsius, the temperature of the piece of ice in question (including the ice cubes you take out from the freezer) might be even lower than 0 degrees Celsius. Once you take the ice cubes out from the freezer and keep them out (at room temperature) for some time, they begin to thaw, meaning that their temperature starts to climb. The main takeaway here is that the colder ice is, the more it will tend to stick to your hand or any other exposed body part. 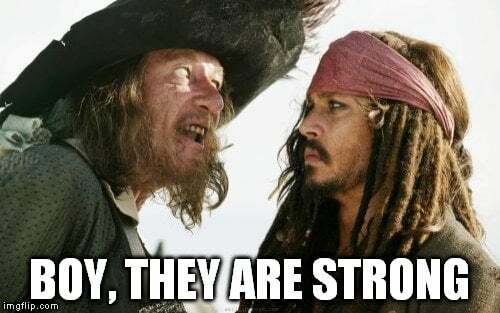 Now that you know the two essential factors needed for sticking ice to skin, let’s see how the process actually occurs. In its liquid form, water molecules can break connections with their fellow molecules and form new ones instantly, granting water the ability to flow easily. However, when it comes to ice, these molecules are stuck in place due to the cold temperature. The structure of ice, if you think about it, makes some water molecules (that consist of hydrogen and oxygen atoms) line up along the surface facing outwards. 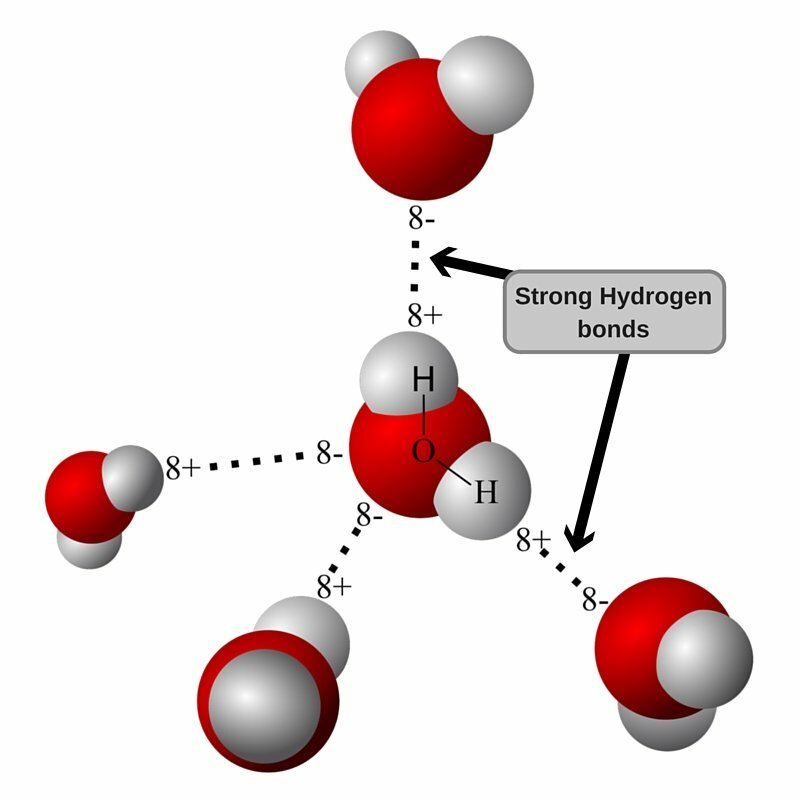 The oxygen atoms present still want to form hydrogen bonds with hydrogen atoms in their fellow water molecules. But alas… they can’t, for they are on the surface and are therefore destined to stay away from the water molecules that can bond with them. This is where the water present on your hand in the form of moisture comes to the rescue. Oxygen and hydrogen atoms present in water molecules on the surface bind to hydrogen and oxygen atoms, respectively, that are present in the moisture of your hand, resulting in multiple hydrogen bonds. This is what causes your hand to stick to ice. The colder the ice, the stronger the adherence between the two. However, this can be easily undone by pouring some warm water over the contact point. Therefore, when you’re in a laboratory conducting an experiment that involves ice, you would be wise to keep your fingers gloved and your tongue safely inside your mouth.